In 2013, the programme committed to 95 per cent of premises having access to fibre broadband by the end of 2017*. 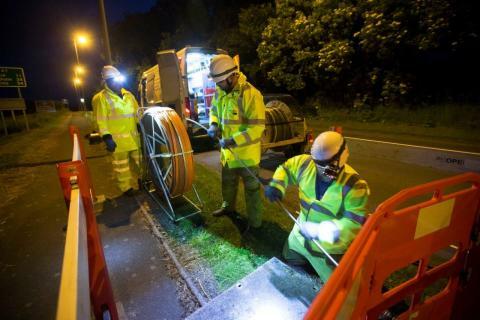 The latest data, now verified, shows that 95.5 per cent of Scotland now has access to high speed fibre broadband, and 92.7 per cent of Scottish homes and businesses can receive a superfast speed of over 24Mbps. Funding partners include the Scottish Government, Highlands and Islands Enterprise, BT, the UK Government through Broadband Delivery UK (BDUK), local authorities and the European Regional Development Fund. The total project value includes around £18 million which is being reinvested back in to the programme as a result of stronger than expected early take-up.